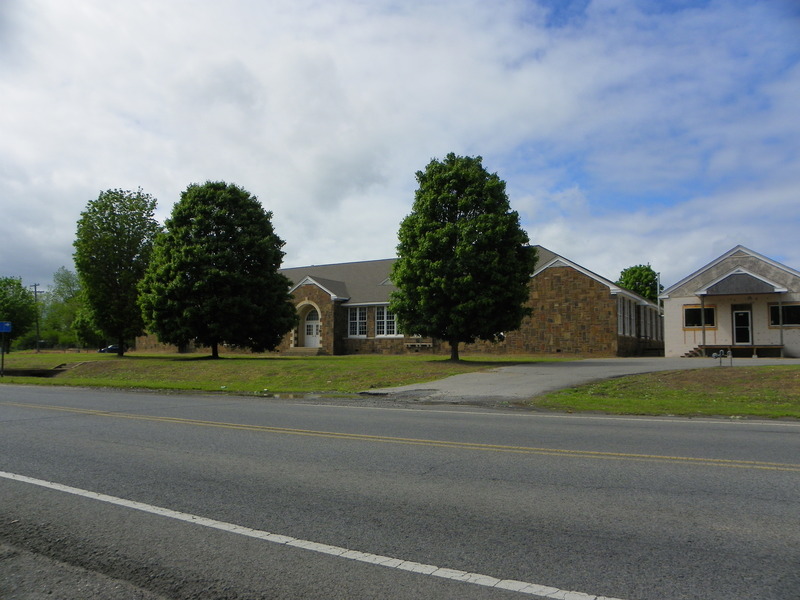 The school/gym is a single-story, E-shaped (171′ x 124′ at the outside edges), approximately twelve room building constructed of tooled native stone of buff and auburn colors in a random pattern. 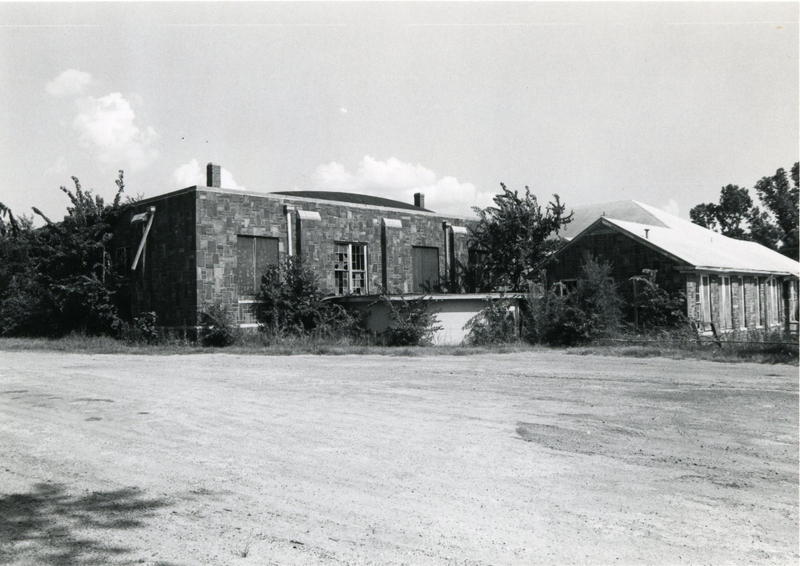 The roof of the school is gabled, has eyebrow gables as vents and has intersecting cross gables, while the roof of the gym is arched with parapets. The double sash wood windows of the classroom rest on continuous or slip sills, rise to the eaves, and are placed by twos or threes. In the gym the windows are metal encased. The double door front entry with fan lights is recessed behind an arch, the sides of which are constructed of interlaced brick and white stone and the voussoir and keystone of which are fashioned from pre-formed concrete. An identical theme is carried out on symetrically placed gabled facades. The gym has unique petruding pilasters topped with concrete. 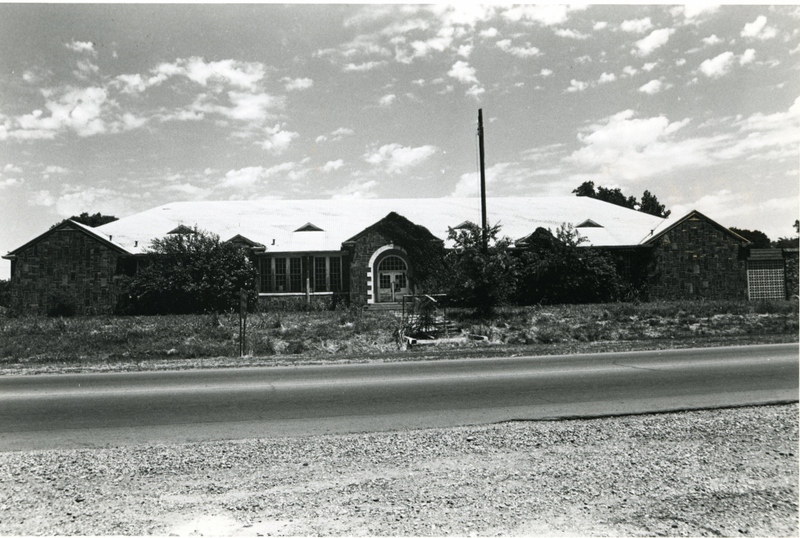 This school/gymnasium is significant because it constituted an economically important community resource. Its construction provided wages for local families which were infused back into the depressed local economy. Jobs generated by the construction of the school restored a sense of pride to many men who might otherwise have been unable to provide for their families. For them WPA income was literally the difference between life and death. 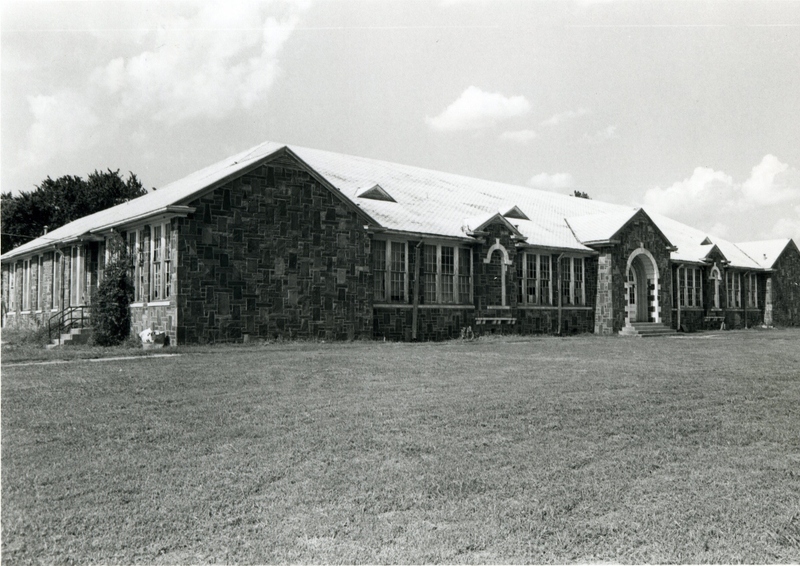 The school served for many years as an educational facility for children of the community. Architecturally, the structure is a remarkable example of vernacular style, and the pattern masonry is unique for WP A structures.